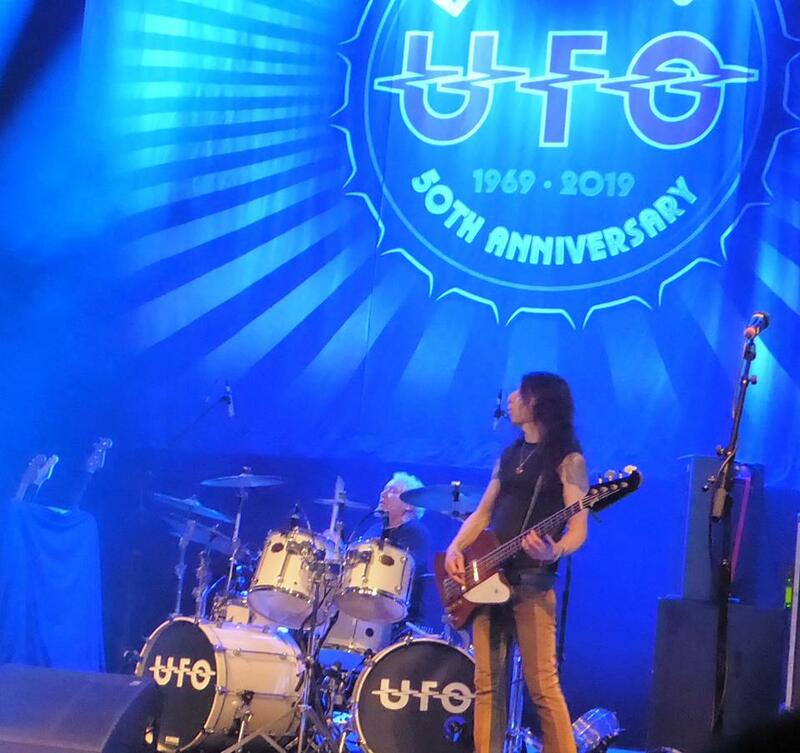 Share the post "Gig review: UFO – Shepherds Bush Empire, London, 4 April 2019"
Can this really be the end? Whilst part of me dearly hopes not, there is something of a delicious irony about ever-present vocalist Phil Mogg choosing to fold the band on his own terms. During a ride that for about 40 years made a Crazy Train look sane, any prospect of the band choosing their own moment to quit seemed as remote as a smooth Brexit. Yet for the last decade or so, we have seen UFO graft hard and attain stability, maturity and yes, even integrity. Who would ever have thought those descriptors could be used about this band? Unless the rest of the band and/or other former members hijack the name and keep touring, of course. Stranger things happen in rock ‘n’ roll every day. But for now, let’s assume this was the final tour. We were here for our Last Orders. And there were many of us present. A sold out Empire saw congested stairways, straining balconies and punters begging bar staff to duck down so they could see the band arrive on stage. ‘Mother Mary’ kicked off proceedings in slick, but no-frills manner, with Paul Raymond’s electric piano augmenting Vinny Moore’s precise guitar parts with beautiful balance. Mogg hit his vocal stride immediately. With barely a pause to let the ovation subside, the band clicked into a riff heavy, barnstorming ‘We Belong to the Night’ accompanied by plenty of chorusing from the assembled gathering. This was an assured and sublime opening salvo. UFO set lists have been a touch more ambitious over the last few years, rather than simply rehashing the legendary ‘Strangers In The Night’ live opus from 1979. So it was pleasing to see ‘Run Boy Run’ retained from 2015’s ‘A Conspiracy of Stars’ album. The track has changed places with ‘Messiah Of Love’ from the same album at various points on this tour. Moore found a full, gritty riff to power the track’s main motif and grabbed with a virtuoso’s greed the chance to lay down a burning solo on one of his own tracks. Paul Raymond’s church organ announced ‘Venus’. Perhaps a surprise choice, a track that has really flourished in the hands of this current line up. Vinnie Moore properly owned both solos on this song in a way he doesn’t choose to or feels unable to with other cuts from UFO’s Michael Schenker era. ‘Venus’ comes from ‘Walk On Water’, the 1995 album that saw Schenker reunite with his erstwhile bandmates in the ‘classic’ line up. The album never achieved the same status as anything in the Schenker canon that had gone before. This is possibly why Moore has been able to stamp his own personality on the track with a different style and new, scintillating solos that depart from the original in a way he wouldn’t have the ‘permission’ to do with others. Back to 2003 and the ‘You Are Here’ album – Moore’s debut with UFO – for ‘Baby Blue’. For the first time this night, Mogg threw back his head and let rip on the opening, almost unaccompanied vocal. Insert your cliché of choice here: spine-tingling, hair-raising, pulse-quickening. Absolutely wonderful. Mogg found bucket loads of soul to lace through this number and also later amongst the disturbing lyrics of ‘Burn Your House Down’. Is it possible the man’s voice is actually getting better? The delivery was strong and clear all night, and judging by the power of ‘Run Boy Run’ there was plenty of petrol left in the tank too. For me, he’s up there with the best classic rock vocalists of his vintage, but somehow misses out on the praise he deserves. Mogg was chippy and chatty all night. Rambling on about Brexit, Albert Steptoe and the security guards in that esoteric way he does. And then prowling the stage, wielding his mic stand like light sabre. He was dapper too. 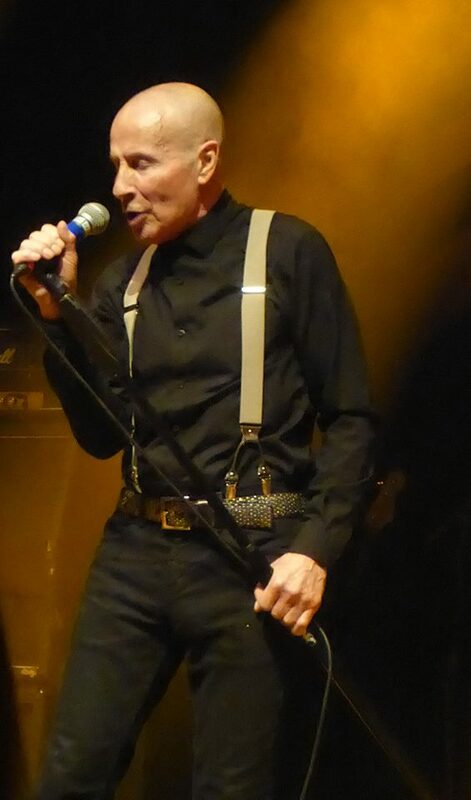 Belt, braces, dark trousers and the jacket which came off for ‘Lights Out’. Now we were down to business. Full throated chorusing from the crowd, for which I was grateful because no-one noticed the catch in my voice or the lump in my throat at the line ‘Under your feet, grass growing /Time we said goodbye’. Now the classics were flowing. ‘Cherry’, 41 years young, is a tune that gets better with age. 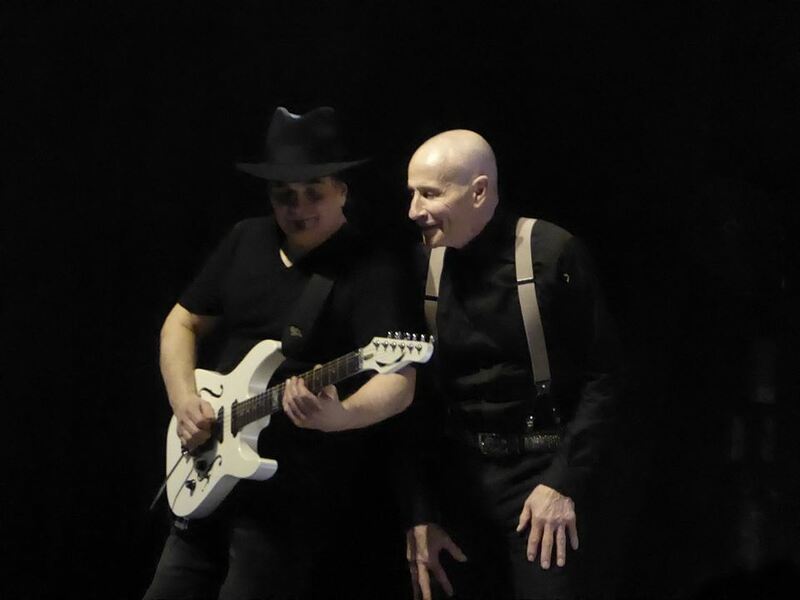 For all that I have forever loved Pete Way’s immeasurable contribution to the music, mojo and myth of UFO, Rob De Luca is a better bassist. On this track he combined beautifully with Andy Parker’s drumming to create a thrilling, slightly eccentric rhythm and one of the finest middle-eights ever penned to launch another barnstorming solo. ‘Love To Love’ is always a highlight of the set, and it was performed here with a noteable freshness and gravity on the pair of quiet instrumental passages that prelude the verses. A beautiful, fragile, dramatic construction delivered with respect and passion. This was a well judged set. Not just in the mix of classic ‘SITN’ tracks rubbing reverential shoulders with Chapman- and Moore-era tunes. But also in pace, energy and style. ‘Makin’ Moves’ laid down a ferocious and exhilarating smash and grab of hard rock, powered on a scything riff and on Parker’s epic drumming. This was followed up immediately with ‘Too Hot To Handle, with De Luca again bossing the rhythm and Moore adding an elongated solo to bring the track home. ‘Rock Bottom’ was the ideal set closer. The main riff was spliced with psychedelic undertones tonight – the flange pedal taking a hammering; and Mogg in full flow, leading a lyric that everyone in the room could belt out. 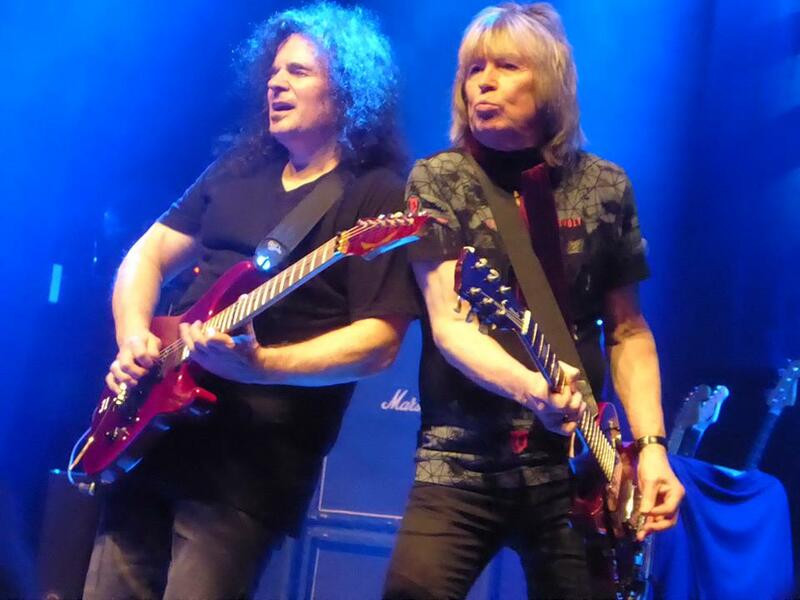 He departed the stage for us to wallow in the three-act instrumental passage that is another Moore set piece, played with enough of the classic Schenker licks and phrases to have the die hards purring with satisfaction; but hints of his own style to keep the track alive. Raymond and Parker were the power behind the throne here, drawing on years of experience to provide flourishes and jousts that cajoled the passage to its inevitable climax. Then Mogg returned to reprise the main theme, wind up the track and bring the set to its end. They return in triumph and blast through ‘Doctor Doctor’ – cue actual pogoing at the bar – and ‘Shoot Shoot’; a brace of rollicking rockers that fit together like two sides of the same coin. It hardly needs to be said that these moments saw the crowd at their most animated and noisy. The band bathed in the final plaudits and departed the stage. How else could you bring the curtain down on a gig, a tour, a career, a lifetime in rock music? 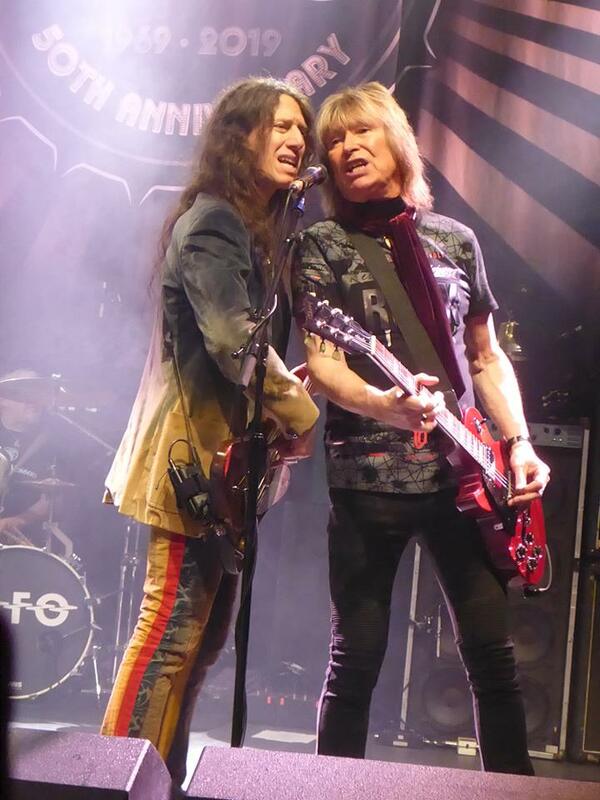 UFO opened my eyes to the boundless energy, emotion and drama of brilliantly constructed and delivered classic hard rock when I was nothing but a spotty kid. All these years later, I still feel like I owe them a massive debt of gratitude. Tonight’s gig simply re-inforced that view. Fare well, Phil. Enjoy your retirement. You’ve earned it. 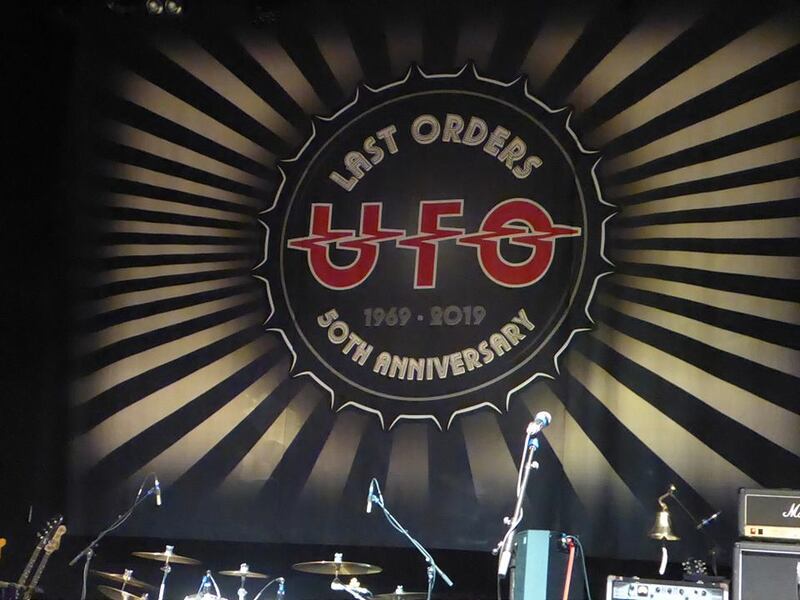 This entry was posted in All Posts, GIG REVIEWS and tagged 4 April 2019, gig, Last Orders, live, Michael Schenker, Paul Raymond, Phil Mogg, review, Shepherd's Bush Empire, UFO. Bookmark the permalink.